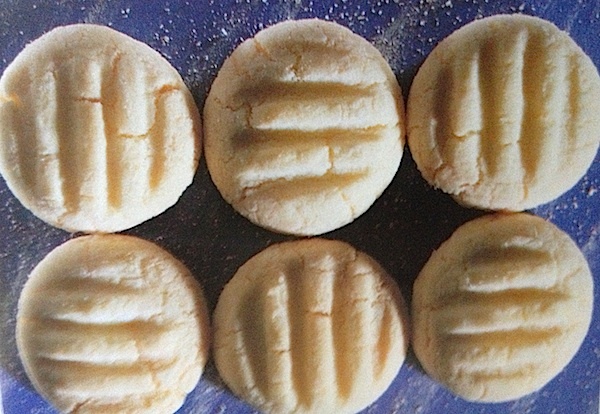 This is a very simple basic recipe for German butter cookies. This cookie recipe are just great for a beginning baker. You will love them for Christmas, just keep them in a tin box and store them in a cool place. Happy Baking! - Beat butter, sugar and vanilla sugar until foamy. - Mix flour with salt and baking powder, sieve half of it to the dough, mix well by using a wooden spoon, add remaining flour mix then knead the dough. - Form dough to a roll and cut pieces of walnut size, form balls out of them. - Place balls on a baking tray layered with parchment paper, and with a fork press each piece gently down (you can see the fork marks). - Bake in pre-heated oven on 180 C or 350 F for about 18 minutes (lower level of oven). Convection oven less.